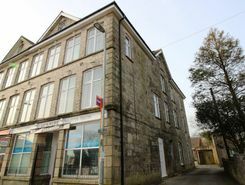 *Available now* Beautifully converted apartment. Kitchen/lounge, good sized double bedroom, shower and bath, video entry & phone line. Central location-perfect for commuting - 1.7miles from A30, 150 meters from bus stop ,0.7 miles from railway station. Allocated parking.